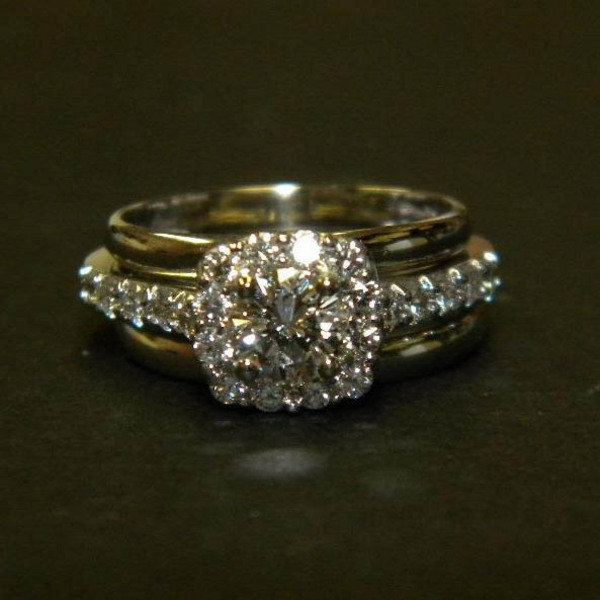 A client brought in her original diamond engagement ring and wedding band. 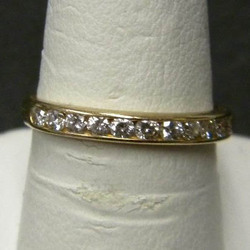 Completed new engagement ring used the small diamonds from her wedding ring and the center diamond. Cushion shaped halo was supplied. Simply elegant. New ring viewed from the side. 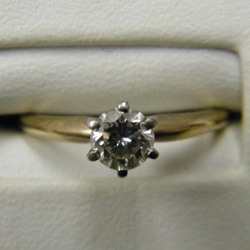 Notice how the side diamonds are set, each with shared prongs. Notice also the metal on the edge that can protect the sides of the diamonds but is barely visible from the top. 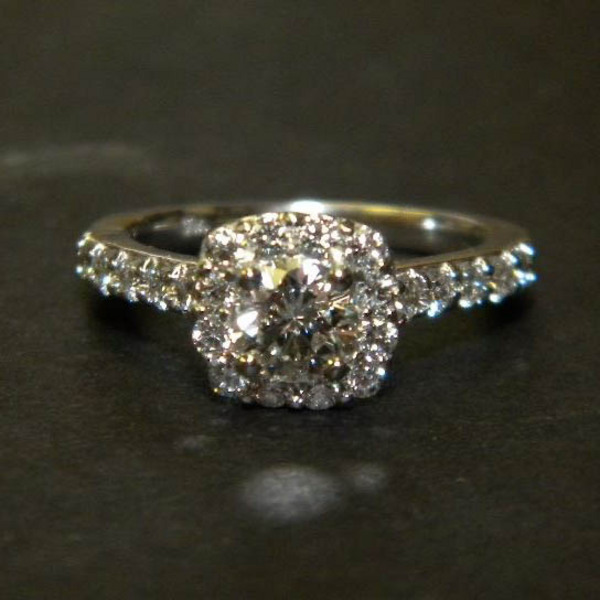 New engagement ring shown with two white gold bands, above and below. Notice how well the rings line up with each other, so they fit flush against each other. Both rings are engraved; one with their original wedding date and initials and the second with a new message. 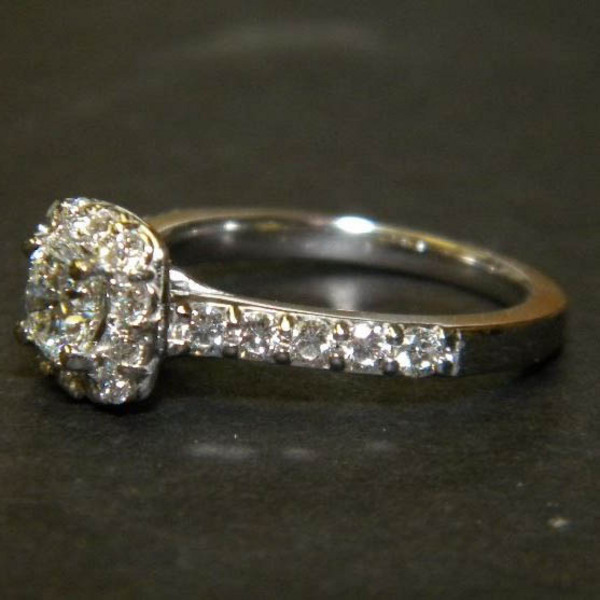 Diana Jewelers of Liverpool, NY will happily transform your old, unworn jewelry into something new that you'll treasure forever. Take a look at our previous Custom Designs here for some inspiration.